Error opening file for writing. 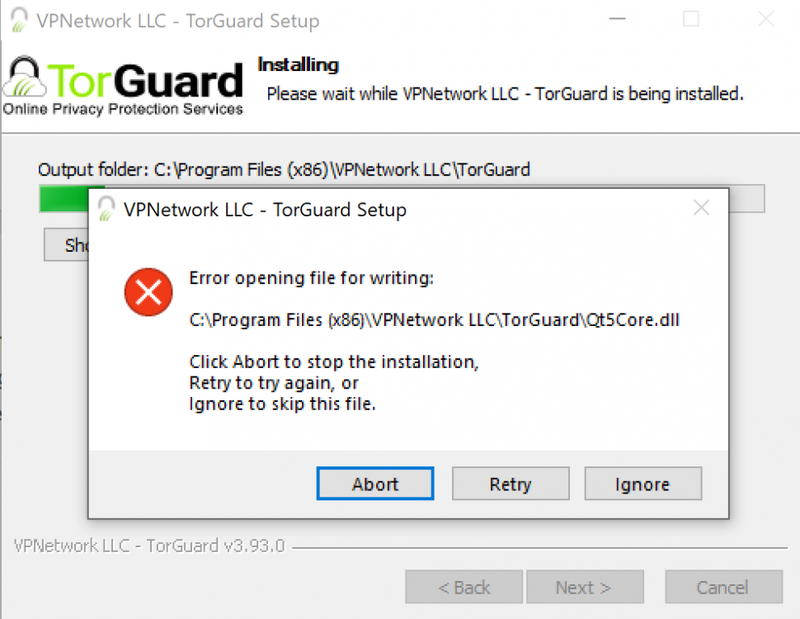 I am unable to install any version of the TorGuard software since the software requested an update. Now I am without a VPN. I tried what you suggested since it is almost always the cause of such problems but it didn't work. I found that it is a Windows 10 bug that strips the user account of administrative privileges during its update. The workaround is to create a second Windows Live administrator account & to run the install from there. When this is done the administrative privileges are returned to the original account.